Three days after setting up a panel to oversee the progress of works sanctioned under One Time Special Financial Assistance of Rs.1,000 crore by the Centre for construction of storm water drainage system in the capital region, the state government on Monday awarded the contract of construction of storm water drainage system in Vijayawada city to Larsen & Toubro Ltd. According to an order issued in this regard, the scheme will check the problem of inundation of several low-lying areas in the city such as One Town, Moghalrajpuram, Jammichettu Centre, Polyclinic Road, Auto Nagar and many other habitations. The tender value was fixed at Rs.362.43 crore, whereas L&T company's IBM value stood at Rs.345.18 crore. L&T is already constructing the interim government building at Velagapudi along with Shapoorji Pallonji Group. The state government will spend Rs.1 crore as its share in the total project cost. The project is to be completed within three years from now. 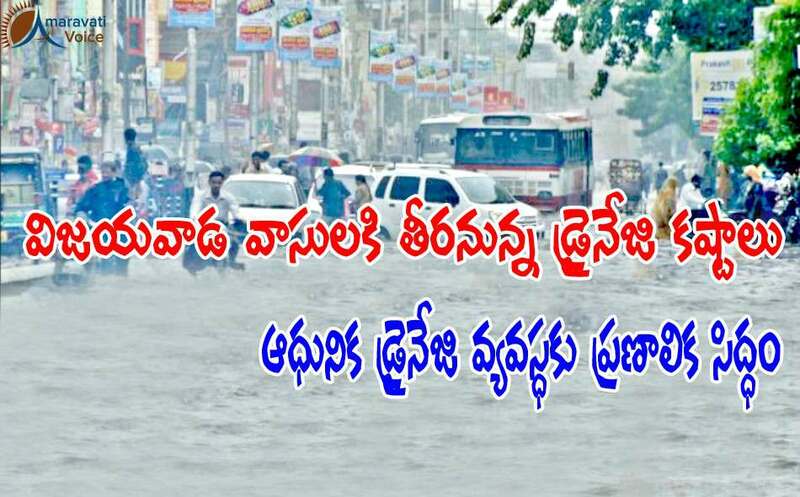 The Centre had last year sanctioned Rs.460 crore for construction of storm water drainage system in Vijayawada. It had also released another Rs.540 crore on for the same purpose for Guntur as well. It is a one time special financial assistance extended by the Union government to the state. A storm drain or storm water drain is designed to drain excess amounts of rain water. Most drains have a single large exit, from which the accumulated water flows to a canal, lake or reservoir. These drains are different from sewer systems.